We all know that sleep is a universal need. It is essential to living. You can’t last long in this world without sleep. It will take its toll over time. If you see people looking haggard and stressed, they are also probably lacking in sleep. Sleeping restores your body to optimum health and gives you the energy you need to face a new day. Your attention and focus are heightened and you have no problem doing tasks but remember when you’re sleepy, you can barely steady yourself and finish what you are doing without making mistakes. Hence, you can’t just disregard the value of sleep especially if you do something that requires your undivided attention and focus, such as when driving or operating machinery. You’ve probably seen your fair share of road accidents already. Some can be minor mishaps while others have claimed the lives of the driver and the passengers and even that of innocent bystanders. More often than not, simply getting that recommended eight hours sleep at night is enough to prevent such accidents from happening but at times it can be something the person behind the wheel has little control over. Conditions such as sleep apnea can put the driver and everyone in their way in serious harm. These people likely suffer from poor sleep and varying sleeping patterns and may have a deadly consequence in the event they are out on the road or operating a machine at work. Sleepiness, like excessive speed, driving under the influence of alcohol, aggressive driving and inclement weather, contributes to or causes motor vehicle crashes. 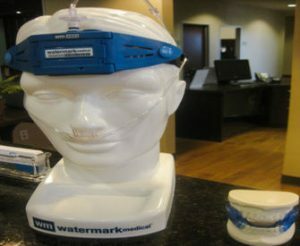 Getting tested for sleep apnea is being implemented right now in certain countries like Dubai especially among professional drivers. It is but a must as they usually travel long distances without a break and it can spell disaster if the driver feels drowsy while driving. Daytime sleepiness is a common complaint among individuals diagnosed with sleep apnea as they go through multiple breathing gaps in their slumber. As they say, prevention is better than cure, which is why it won’t hurt if drivers take this test for the safety of everyone on the road. You not only compromise your safety and the lives of everyone you meet on the road but deteriorate the quality if your health over time if you don’t address sleep apnea right away. Remember that this disorder will not go away on its own. Get yourself checked in an accredited sleep clinic by a sleep specialist and find out which sleep apnea management will best fit your needs. Your body will suffer if you constantly lose sleep as it deprives each cell in your body of much-needed oxygen it requires for normal functioning. If you don’t have a sleep disorder like this, simply sleeping is enough to help you travel with the peace of mind knowing you are in your best form to drive from point A to point B. But if you have sleep apnea, a medical intervention is necessary. 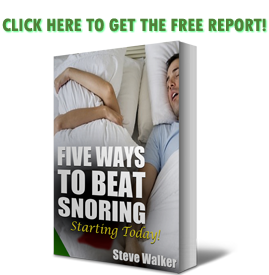 Convenient anti-snoring mouthpieces such as https://snoringmouthpiecereview.org/good-morning-snore-solution and https://snoringmouthpiecereview.org/snorerx are excellent remedies while you deliberate if surgery or CPAP is the best for you or perhaps a more innovative technology that is not in the works. Sleeping is fundamental to life. We can’t survive for long if we don’t sleep. And simply sleeping a few hours each day is not enough because our body needs more. We are not just even thinking about sleep length here, sleep quality is also a major issue along with the time at which you sleep. Simply sleeping during the day won’t do your health justice as it should be nighttime sleeping that is ideal for our good health. There are certain things that happen to your body that only takes place at night and you might miss out on if you don’t observe daily. Just remember that it is what nature designed for all of us. People back then had no issue about this because they did not have technology to mess up with their sleep. They automatically drift off to dreamland at night and do what they go to do in life during the day. Much has changed since then. 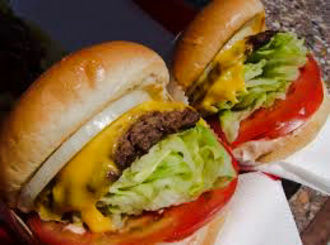 We now have various technologies that we have virtually changed human lifestyle. You can now choose whether you want to be a day or night person and still be able to do most of the same things without any worries. That has significantly messed up our health. No wonder people die younger now and we easily succumb to more chronic, debilitating, and deadly diseases because of our lifestyle and the food we eat. But what if you can use the very thing that has turned your sleep upside down and use it to improve your sleep and eventually boost your health? I’m talking about Somnox, “the world’s first sleep robot,” as it’s been touted in pretty successful Kickstarter and Indiegogo campaigns. It’s actually more of a peanut-shaped pillow than a humanoid robot that can perform backflips a la Boston Dynamics. But for a machine with no arms, legs, or even a face, it actually feels pretty human. That’s because Somnox breathes in and out to help you fall asleep effortlessly, or so the Dutch company claims. Imagine, a robot that does not look like a robot can actually help you sleep better. No, you’re not dreaming. If you can afford to buy one, the Somnox robot mimics breathing so you can easily relax and drift off to sleep while cuddling or spooning it. Your partner may be jealous but at least it is just a robot and the best part is that it saves you from whatever sleeping problem you are having. It’s like you are meditating as you gradually match your own breathing to the regular, calming, and rhythmic breathing of the robot you are holding onto. 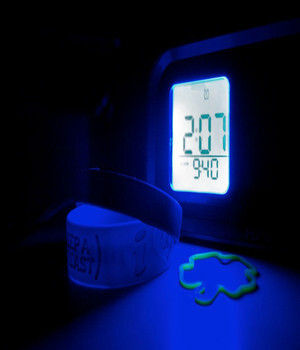 Nokia is once again attempting to get a piece of the market by delving into sleep technology with Nokia Sleep. 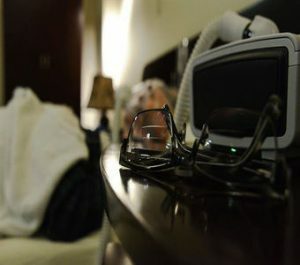 While it is not as in-demand as mobile phones, many will likely have a use for it since a lot are now complaining about losing sleep each night. It’s nice to see technology being used the right way and not just for pure entertainment. People with sleep issues don’t want to lose any more sleep this new year and will definitely give these new products a try if it means they will be able to sleep earlier and better nightly and have more energy for the next day. However, you still need to see a sleep specialist if you are suffering from actual sleep disorders because they are a health condition and therefore requires a medical intervention. Such a condition is sleep apnea. Aside from surgery, CPAP or other traditional medical management, anti-snoring mouthpieces may be helpful in keeping the airway open in your sleep and reducing your snoring. https://snoringmouthpiecereview.org/good-morning-snore-solution and https://snoringmouthpiecereview.org/sleeptight are excellent choices especially if you have not yet decided on what treatment plan you’d like to adopt. Not many of us get enough sleep anymore. There are countless distractions in our surroundings it is easy to see why many of us struggle in getting the recommended eight hours of sleep our body needs in order to grow healthy and strong and have enough energy to last the entire day without feeling drowsy. It is true that there are many things that keep us busy nowadays and it has to do with too much technology use. However, have you ever thought that technology can also be used to your advantage and benefit your health as well and not just as a nuisance we all think it to be? Yes, sleep technology exists. Technology does not revolve around just for your pure entertainment. They have various uses depending on what you need. Fortunately, bright minds have come up with sleep technology that works in promoting sleep health and in even addressing some of the symptoms and complaints of people suffering from a sleep disorder. Who would’ve thought cuddling a robot now can help you sleep better? I’m sure most of you haven’t thought about this at all but there is a robot technology now that will allow you to have a robot buddy in your sleep. It’s unlike any robot you have seen because it looks just like a small beanie, albeit heavier, which you can snuggle in your sleep and actually breathes. Its breathing is the one that soothes and calms you as you drift off to dreamland and the reason why people are shelling out 500 euros just so they can get back on lost sleep. Trouble sleeping? There’s an app for that, but I’d rather take a look at this slightly odd nap buddy: the Somnox sleep robot at €500. Instead of a stuffed animal, you snuggle up to a robot to help you beat insomnia. I’m slightly freaked out. It’s not the fact the website encourages you to “spoon the sleep robot”. It’s not that it offers three ways to soothe you to sleep and one of those is tagged “affection”. It’s that it breathes. The robot breathes. Apparently, it’s a way to help reduce stress, and it’s backed up by studies. Personally, waking in the middle of the night clutching an inaminate object that suddenly moves sounds a little terrifying. Snuggle up. Spooning with this robot does a lot of wonder to the sleep-deprived. Somnox may not be what you have in mind to be sleeping with but if you’re someone who is struggling in your slumber and goes through your days in a sleepless limbo, it won’t hurt if you give this humble (yet expensive) robot a try. But if you’re someone with a diagnosed sleep disorder, check with your doctor first because you definitely need something backed by medical science to solve your problem. Nokia has been deepening the company’s position in health and wellness, and this year adds sleep tech to its device ecosystem. Nokia acquired Withings several years ago, growing its position in consumer health tracking from weight scales to activity and fitness. Nokia Sleep is the company’s CES 2018 offering with the tagline, “Know your nights. Master your days,” which is part of a larger communications strategy asserting, “Know Yourself.” (Good coverage of this campaign is in this issue of Advertising Age). To help us improve our sleep, Nokia has developed a sleep sensing pad that is placed under the sleeper’s mattress and measures his sleep cycles, heart rate, and snoring. On the app front, welcome Shleep, developed by a European team led by Dr. Els van der Helm, with roots in clinical psychology and sleep studies. The app offers bite-sized sleep coaching lessons based on the user’s information and preferences. In the CES 2018, different sleep technologies were showcased in the digital health category. At a time and age when tech is a major distraction to our sleep, it is refreshing to see technology designed to improve the overall sleeping experience. There is a wide range of sleep things to explore and try such as apps, lights, bed, masks, and of course, our huggable sleeping robot. What’s interesting to note is that many people are actually excited to see these sleep technologies as more people become aware of the dangers of sleep deprivation. These gadgets just prove that you don’t have to suffer in silence because of any condition that prevents you from enjoying a good night’s sleep. If you are someone with sleep apnea, though, you can benefit from devices that are proven by science to not only improve sleep but address the dangers of this silent killer. If you aren’t a fan of CPAP and is still getting a second opinion on surgical suggestions, https://snoringmouthpiecereview.org/good-morning-snore-solution and https://snoringmouthpiecereview.org/sleeptight are handy anti-snoring mouthpieces that open up the airway in your slumber and facilitates for easy breathing in your sleep. Best of all, they’re affordable so you have no reason to neglect your health anymore and go on with your nights with the risk of not waking up in the morning. Have you’ve ever had sleep issues in the past or still suffer from them now and then or far more common than you would like to admit it yourself? Well, you are not alone. In reality, millions of people toss and turn each night for various reasons. 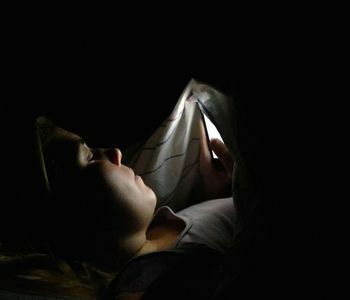 Some can’t sleep because of their preoccupation with tech gadgets while the other half suffer from medical conditions like sleep disorders. If you happen to belong to the latter, no need to fret because help is readily available if you just learn to ask for it. Have you heard of sleep clinics? It’s high time you know them. There are numerous sleep clinics scattered all over the country that can help you get to the bottom of your sleep issues once and for all. Sleep clinics are lifesavers to individuals who struggle with sleep every single night. There was a time when the rest of the world simply shrugged off sleep issues but not anymore. You can head to the nearest sleep clinic in your area and spend the night there to get assessed in your slumber. That way, the sleep doctors/experts can give a more accurate diagnosis about your condition and come up with a more tailor-fit medical management that fits your needs. Getting diagnosed and treated is a must especially if you are suffering from a deadly condition like sleep apnea because you literally stop breathing in your sleep and it predisposes you to other more deadly conditions like heart disease and diabetes. Sleep apnoea affects about 10 per cent of the adult population. Treatment options include weight loss, exercise, surgery and mouthguards “but if it is severe, the only thing that really works is continuous positive air pressure (CPAP) therapy”. “I assess people and send them home with a monitor to use while they’re asleep so we can work out what’s happening,” Mrs Aplin said. 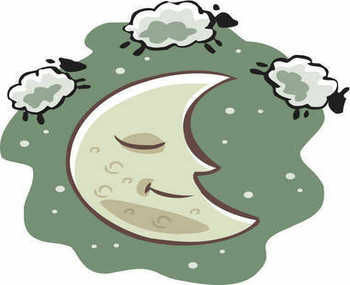 “Sleep apnoea covers about 90 per cent of sleep disorders so we need to rule that out before looking at other issues. 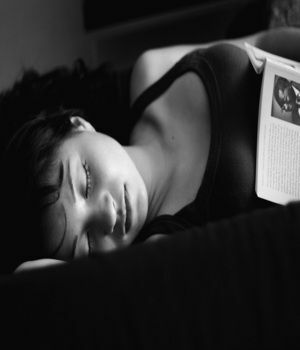 Poor sleep quality is second to breathing pauses that many sleep apnea sufferers complain about. It makes people generally sleepy throughout the day. It is risky if you work in an industry that requires you to operate machinery or have to drive on a daily basis. By now, we all know that CPAP is the ideal treatment for sleep apnea but we also know how much patients hate it because of its sheer inconvenience during bedtime. With the help of sleep clinics, you can also explore other treatment regimens like cognitive behavioral therapy to help you combat the condition without making your life miserable. You can also choose from handy anti-snoring devices like https://snoringmouthpiecereview.org/zquiet or https://snoringmouthpiecereview.org/sleeptight that helps correct those anatomical problems that lead to snoring and sleep apnea. Dr Alex Bartle, director of New Zealand’s Sleep Well Clinics, believes up to 15 per cent of adult Kiwis have chronic insomnia which affects their waking lives. “That’s a fair number of people who have disrupted sleep at least three nights a week, and have had for more than three months,” says Bartle. Although we spend about 24 to 26 years of our lives asleep, how much we really need varies from person to person. The gold standard for an average night’s sleep, set by the US Sleep Foundation, is 6½ hours. “Any less than six hours and we don’t compute very well,” says Bartle. He’s right: when we’re sleep deprived we tend to be grumpy, unproductive and often unable to think straight. Research from the University College London Medical School revealed that people who fail to get a full night’s sleep score significantly lower on tests of logic and vocabulary and, more worryingly, have slower reaction times which can impact on everything from operating machinery to driving. People today can attest to the rise in popularity of sleep clinics as some actually have to wait for weeks to get an appointment. Whether it is insomnia, sleep apnea, or some other sleep disorder, the best place for you to get checked and treated is a sleep clinic because they have the facility, equipment, and expertise over this matter. Giving patients sleeping pills is not always a good idea but may be used in conjunction with other management programs like cognitive behavioral therapy, which is found to be more effective as it helps rewire the brain to adapt better sleeping habits that are mostly helpful for insomniacs. If you find yourself counting sheep in the middle of the night, snap out of it and get an appointment to the nearest sleep clinic as soon as you can because that’s where you can find the help that you desperately need.